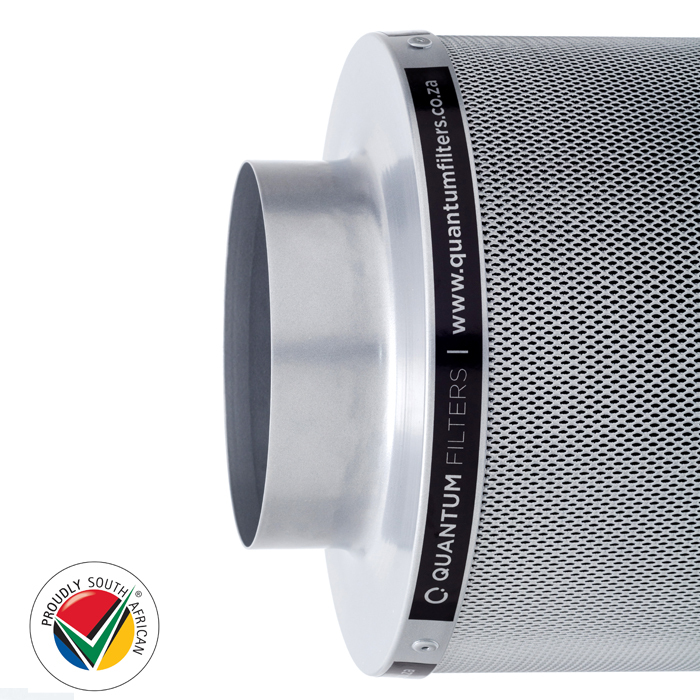 Quantum Filters 150mm make use of a process called adsorption. 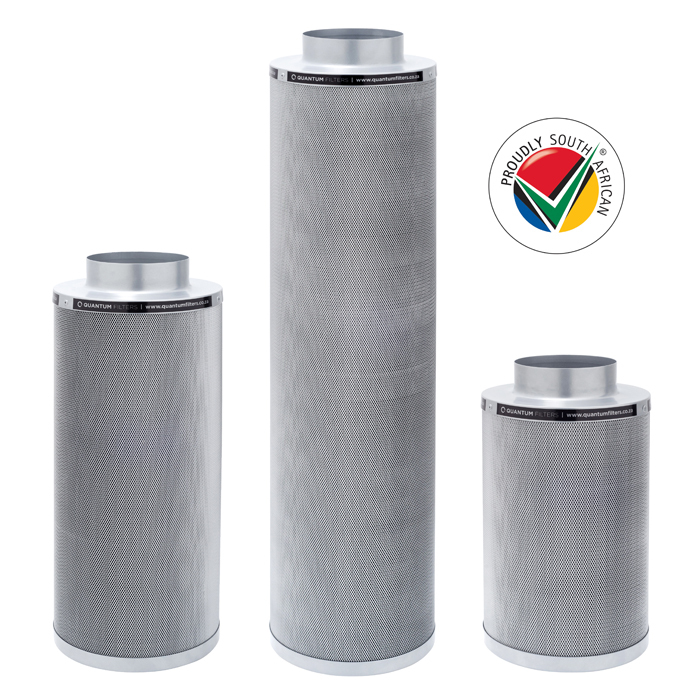 The adsorption phenomenon works by trapping and retaining unwanted odors and hazardous gases inside the activated carbon, possible due to its carbonous material structure. 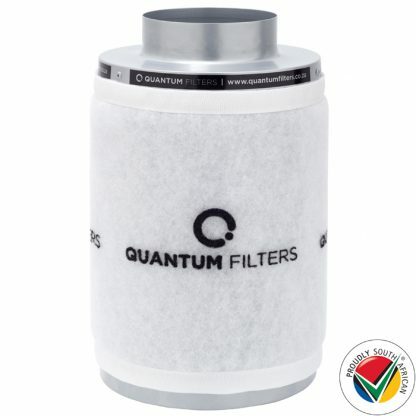 Quality Activated Carbon Air Filters remove 99.7% of contaminants in the air. 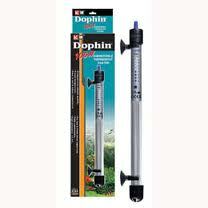 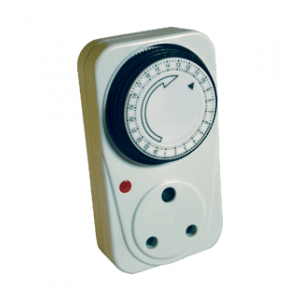 This product can be used for both inlet and outlet filtration. 100mm Quantum Filter page, click here ! Removable Bottom Flange in order to refill. 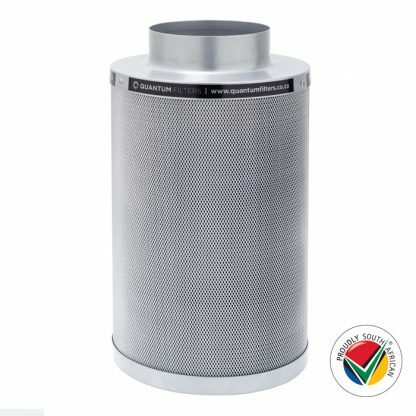 Simply unscrew, remove old carbon and replace with new carbon. 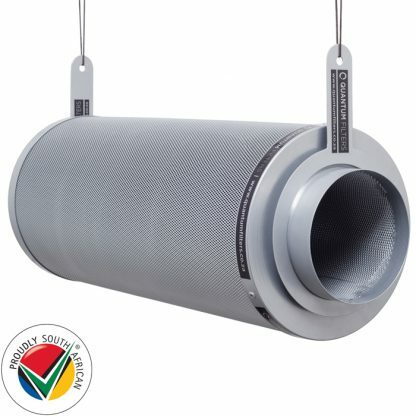 Hanging ropes connect to the brackets, instead of wrapping around filter, preventing possible damage to the pre-filter and mesh material.